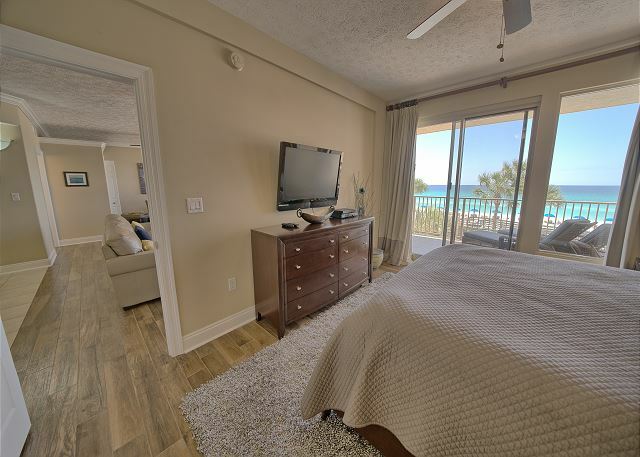 This 1388 square-foot oceanfront unit offers an open floor plan and a large fully equipped kitchen. 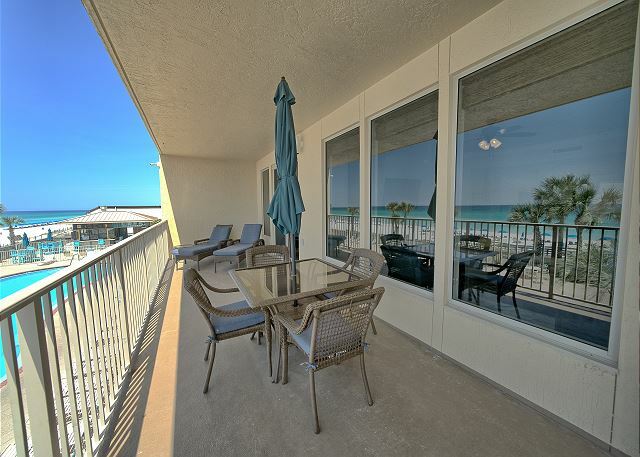 Enjoy breathtaking views from the spacious 360 square-foot balcony or hang out on the beach! We had a wonderful time. 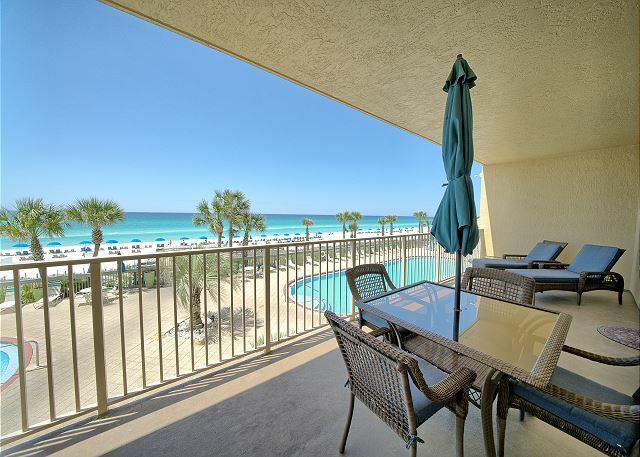 The condo we rented was beautiful. The property was very well kept. Loved the pool area and the little cafe was wonderful. I would recommend this property. Four dear old friends beach trip. The four of us had such a wonderful time. We rented a condo on the second floor. We had a perfect view of the ocean and at night a perfect view of the sunset. 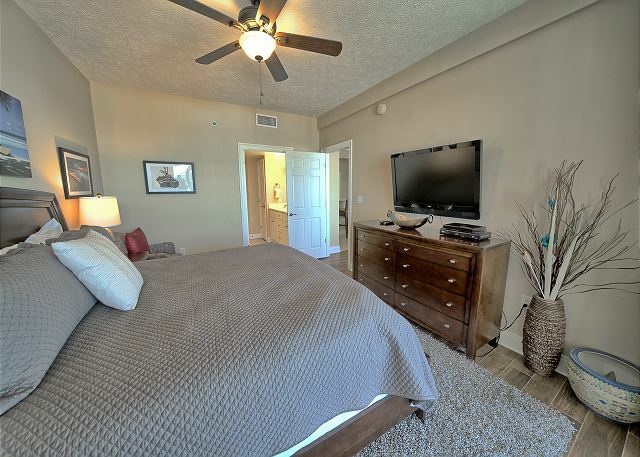 The condo was clean, loved the furniture, the accessories were very nice. Beds were comfortable and clean. We will return next year. My family and I truly enjoyed our stay in Unit 204. We visit Panama often but this was our first time staying at Gulf Crest. Our particular unit was simply amazing. Modern, clean, and plush to state the least! 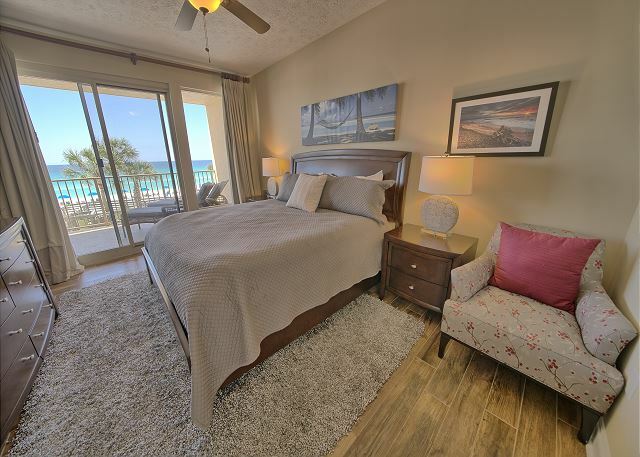 Going forward when visiting, we will only book through Gulf Crest, particularly Unit 204. 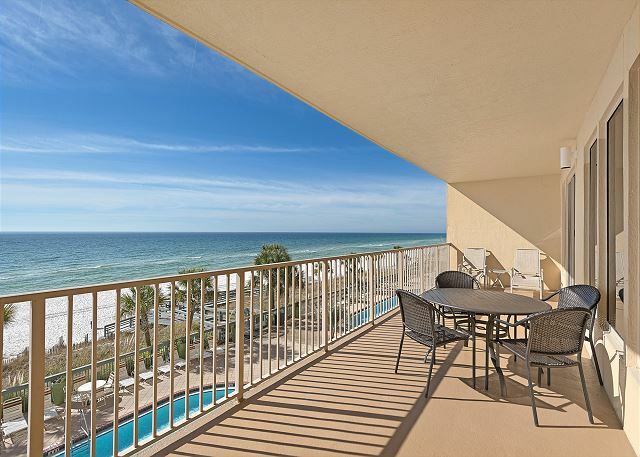 Our condo was centrally located in the building with quick access to the elevator and beach, overlooking the pool and beach. Gulf Crest is tucked perfectly in Panama and we certainly felt safe and secure. Clean dishes with an abundance of quality cooking utensils. Fresh linens, comfy beds, and AMAZING sofas. ☺️ The decor, furniture, tv, and sound bar was PERFECT. I would only recommend updated pool furniture and more bar options. We’ll certainly be back! Thank you for an amazing stay! 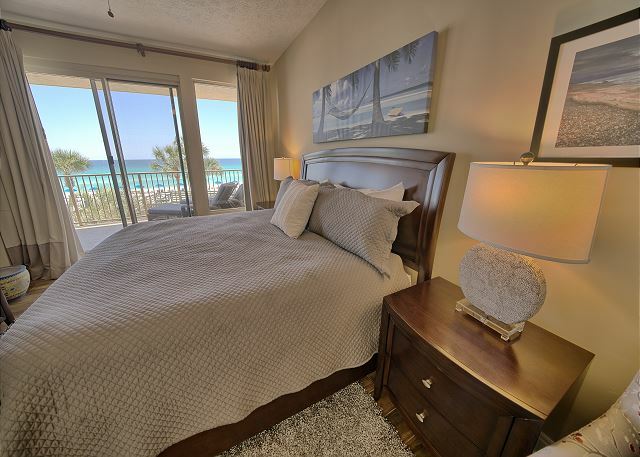 We were very pleased with this two bedroom lower level Beach front condo. 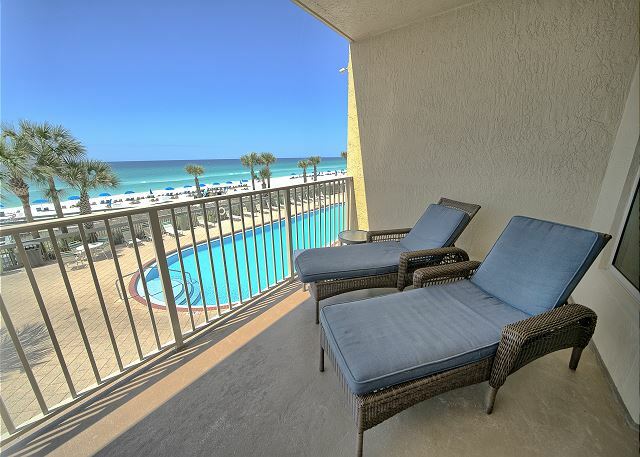 We’ve stayed at Gulf crest four times and we definitely repeat this condo again. I am extremely pleased with our stay. 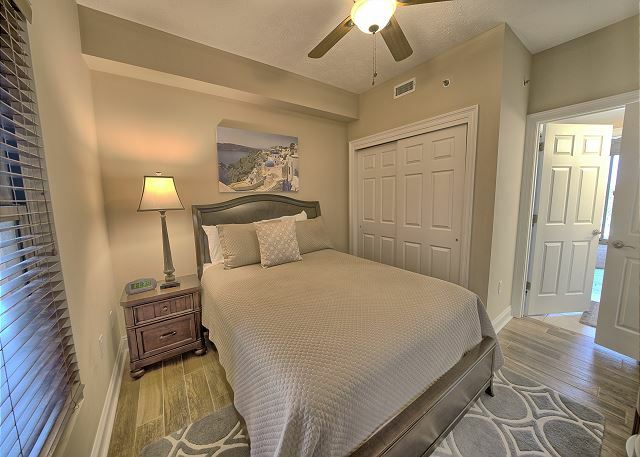 The second floor unit was perfectly located and had all the amenities we needed. 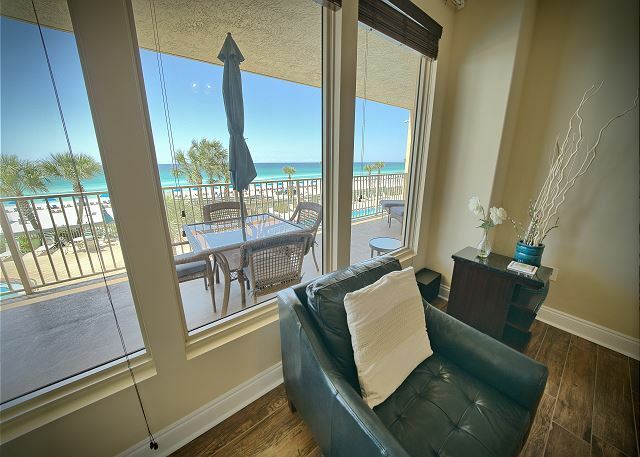 The condos are close to everything, but far enough away to be out of the hustle and bustle of Front Beach Rd. and Pier Park. 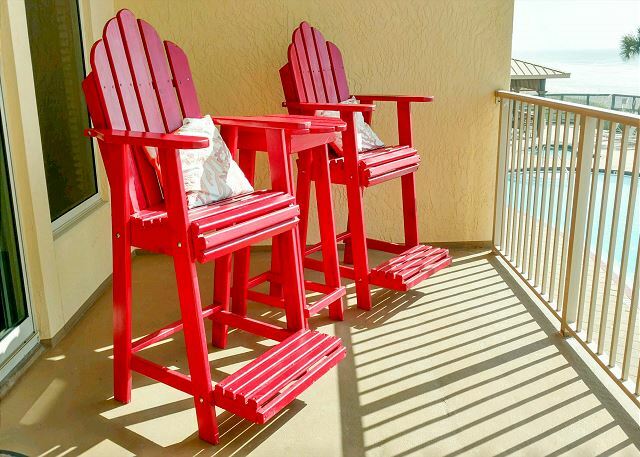 The only thing I would say I was disappointed in was the beach chairs and umbrellas not being included with the until rental. 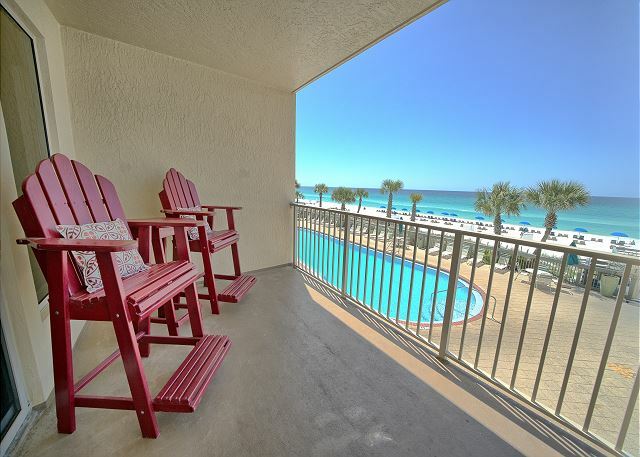 This is our third year staying at Gulfcrest in three different units and this was the first time it wasn't included. That was really the only negative I saw. Loved this unit! Will definitely be back. 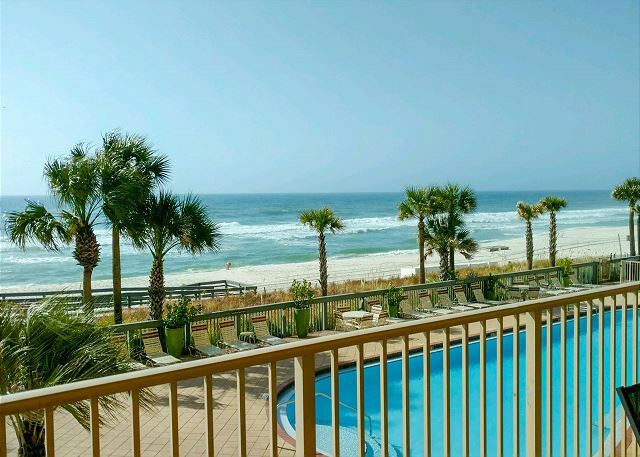 Gulf Crest is a great place to vacation. 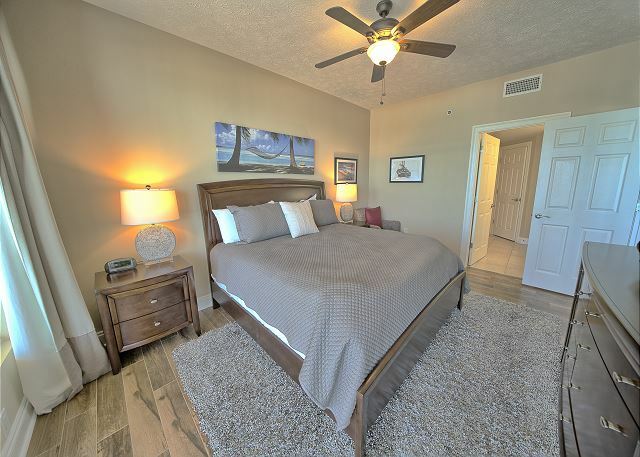 The unit we had was very nice, updated and clean. 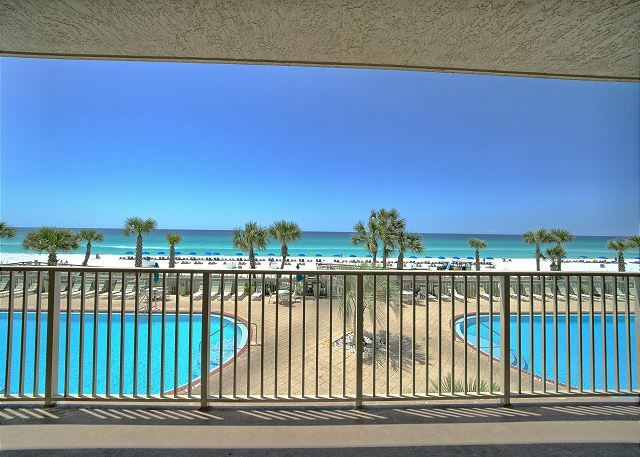 They have two very large pools to enjoy and parking in the attached deck is very convenient. The ramp to the beach without having to go down stairs makes it easy to get to the beach. 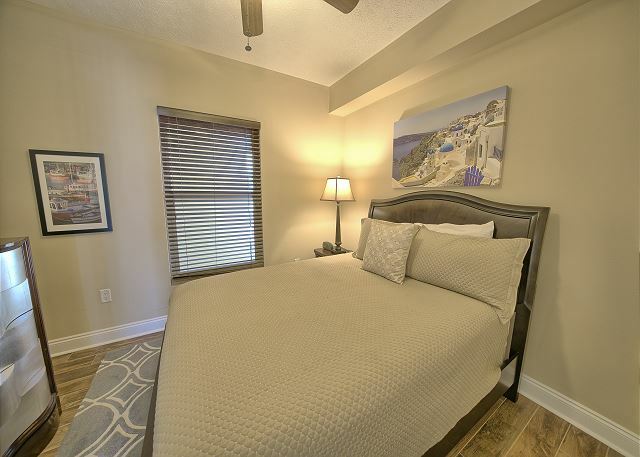 The condo is situated close to our favorite restaurants. There is security around and coded gates which makes us feel safe. The staff is always friendly and helpful. We always go back each year on our vacation to Gulf Crest because we love it there. 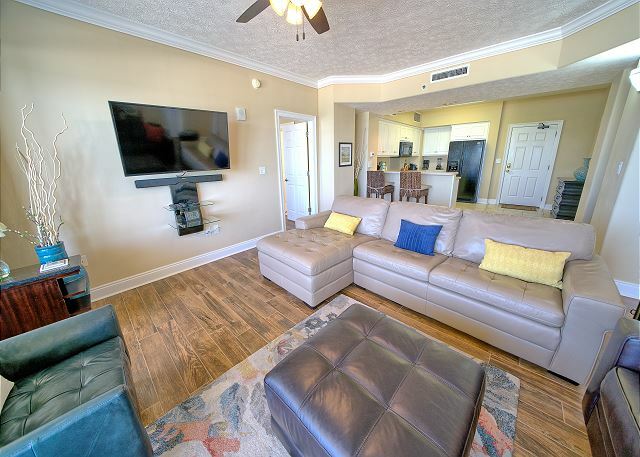 We had a great experience staying at Gulf Crest. This was our second return here. We forsee many more to come. 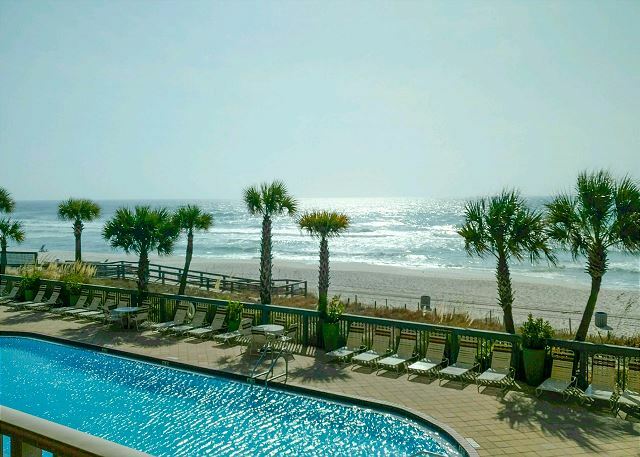 GREAT location, beach access, clean. Beautiful room !! Great staff !! Pool and complex well maintained. This was our 3rd year staying here. Absolutely love the staff and condos. Everything is always clean and accessible. The condos are decorated so beautifully. I will be planning my trip there next year very soon. Looking forward to another year with Gulf Crest. My family and I had a wonderful time. 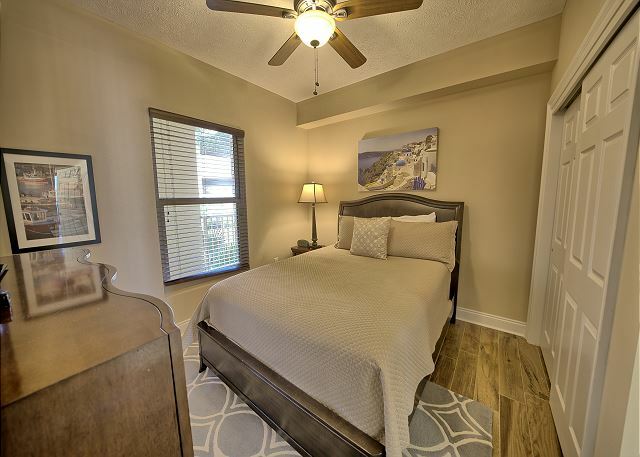 Loved the unit the only dislike I had was the bed in the master bedroom it was not comfortable. I slept on the sofa bed my entire vacation. 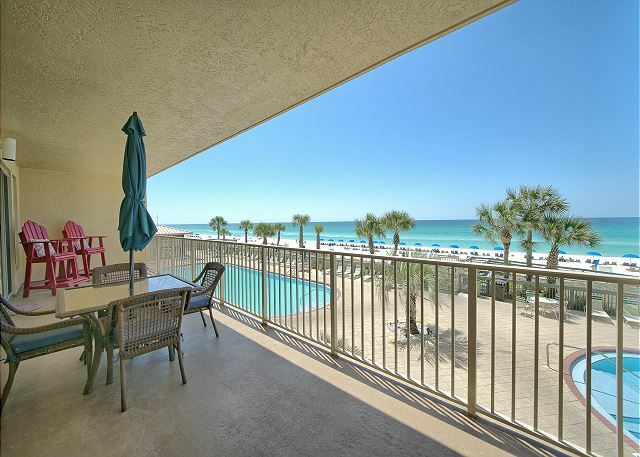 We really love staying at Gulf Crest Condominiums! 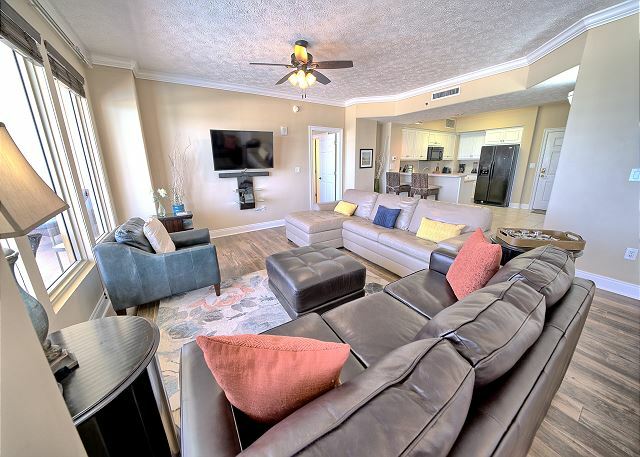 Always have a great time, the staff is very friendly and professional, the condo unit is clean and well stocked.